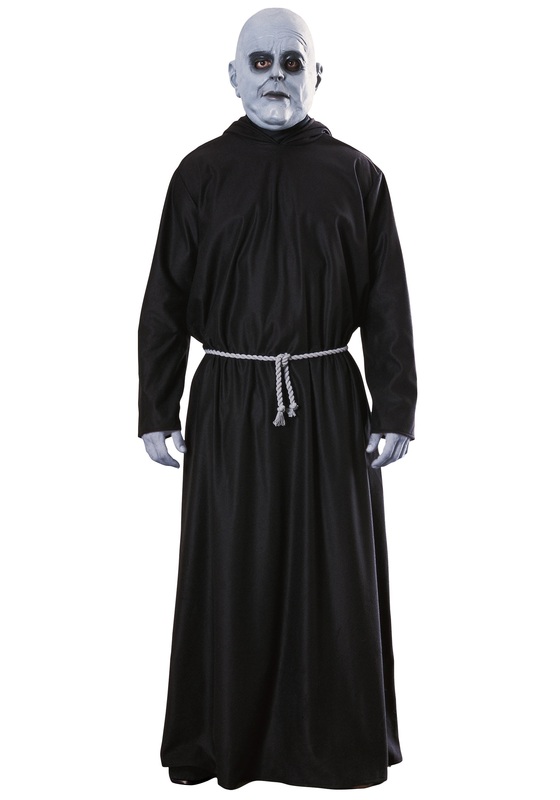 Become Wednesday's weird uncle this Halloween with our Uncle Fester costume from the Addams Family! 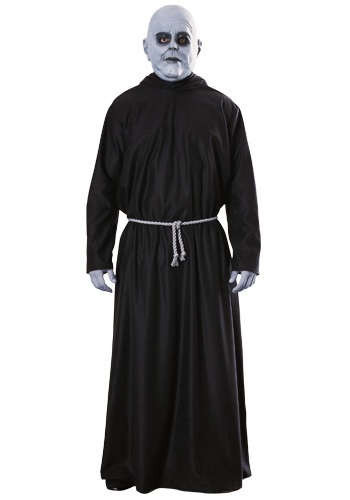 The adult Uncle Fester costume includes a full-length, long-sleeved and hooded polyester robe that ties behind the neck. A silver cord belt ties at the waist. This costume is complete when you slip on the latex mask that fastens behind the head with an elastic strap. The mask features Uncle Fester's pasty likeness, with grey shaded eyes and reddish-black lips. Eye, nose, mouth and ear openings make this mask comfortable for all night wear. Grab a spare light bulb and join Wednesday, Gomez and Morticia for a creepy Addams Family group theme!